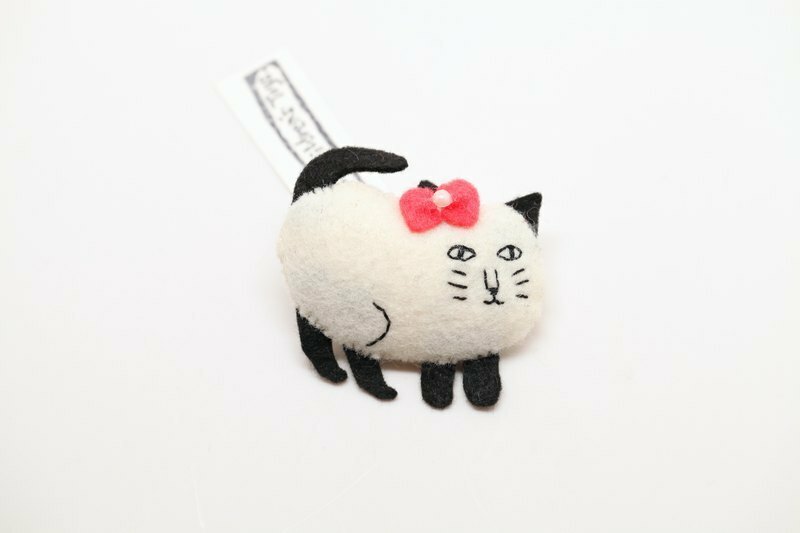 Stitching cat pins, charms, and magnets without weaving. https://farm5.staticflickr.com/4360/36541372842_db333908b7_z_d.jpg Where is the flower hopping and jumping?~ A total of five models in the whole series, you can choose to make pins or mobile phone straps (headphone dust plug) The earphone plug can be assembled by yourself. Please specify white or black 喔! Hand-stitched with a non-woven fabric, the body size (beige part) is about 6*3.5 cm. Bow color can be changed!